The Spa at Andreas in the Andreas Hotel is located in the heart of historic downtown Palm Springs, a short stroll from the city's shopping, dining, gaming, and nightlife. We offer a full line of nourishing body treatments, therapeutic massage services, Image Skincare facials, and salon services. The six-treatment room Spa at Andreas features couple's suites appointed with Jacuzzi tubs and fireplaces, along with modern individual treatment rooms with showers for body services, massage and facials. Our comfortable two-person mani/pedi area utilizes massage chairs and a calming setting to finish your spa day. Day guests can enjoy use of the pool and spa at the hotel before and after their services. Bridal parties, couples, and spa packages are also available. The Spa at Andreas is the perfect, centrally located Day Spa and Resort for any guest visiting the Palm Springs area. We also offer locals specials for our community members who support us with their patronage. 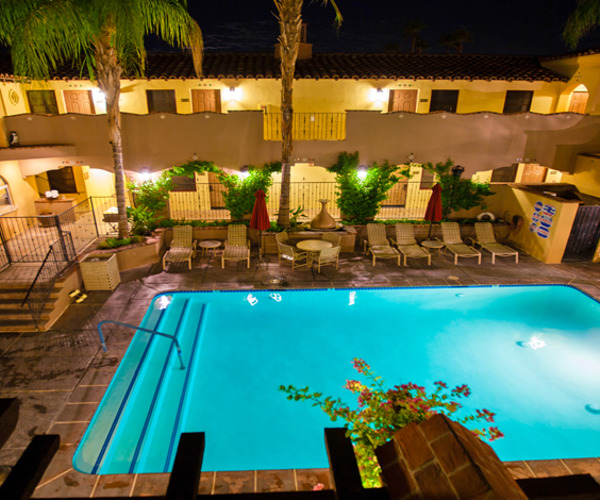 Located in the heart of downtown Palm Springs, Andreas Hotel allows easy access to some of the city's prime entertainment and shopping. Upscale boutiques, art galleries and museums, and antique shops line the streets alongside palm trees, and the vast mountain and desert landscape acts as a spectacular backdrop for many of the city's outdoor activities, with opportunities for hiking, horseback riding, and golf. Families can arrange outings to local theme parks like Knott's Soak City or educational excursions such as the 1,200-acre Living Desert Zoo and Gardens desert botanical park. A two-and-a-half-mile trek up Mount San Jacinto via the famous Palm Springs Aerial Tramway is worth a trip for its unparalleled Coachella Valley vistas. A city that loves to celebrate, Palm Springs hosts the annual Palm Springs International Film Festival in January; Thursday evenings are reserved for downtown's Village Fest, where visitors can enjoy artwork, crafts, the farmer's market, and live music. 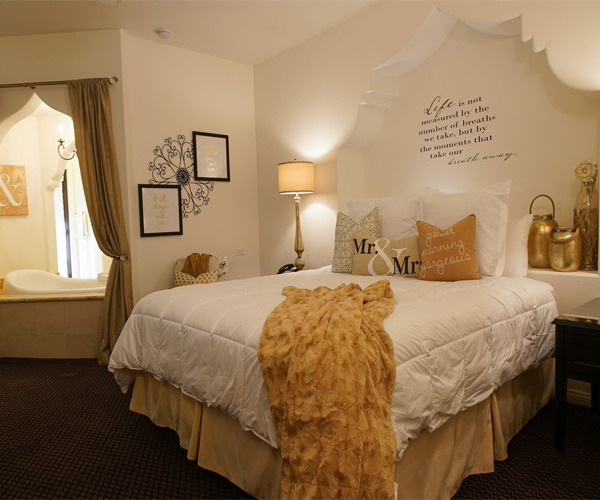 25 deluxe guest rooms and suites are exquisitely furnished in the Spanish Revival and Craftsman styles of the 1930s. Marble and stone bathrooms with oversized Jacuzzi tubs and separate walk-in showers distinguish some of the suites, and all of the rooms feature luxurious pillow-topped beds and plush furnishings. Complimentary breakfast served daily.